On the Arcadian trail, New Brunswick. Le Pays de la Sagouine Acadian Village in Bouctouche, New Brunswick. Acadian festivities at the Chateau Albert Hotel in Caraquet, New Brunswick, Canada. Arcadian revelry in New Brunswick. Acadians are modern-day descendants of the Canada’s first French settlers, who arrived in the 17th century. During this time, they’ve developed a vibrant and rich culture, drawing on their French origins yet remaining notably distinct from their fellow French connections, the Québécois. 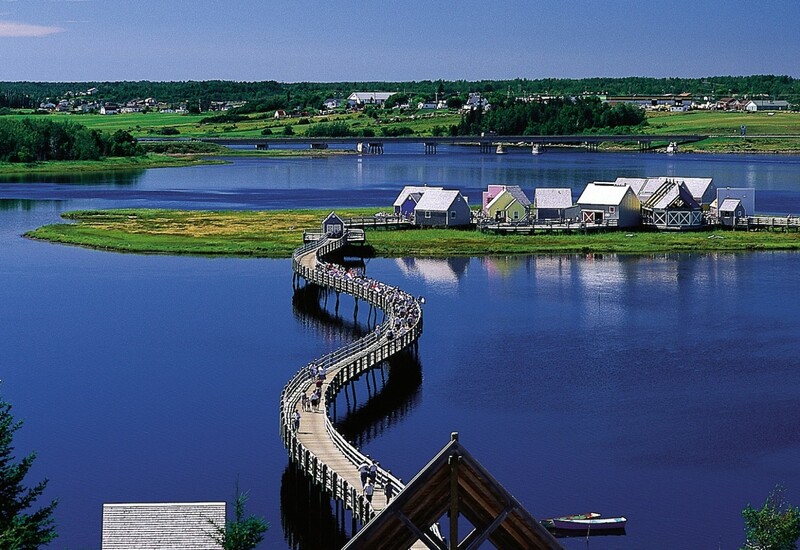 The province of East Brunswick is therefore something of a haven of Acadian culture, and embarking on the 750-kilometre Acadian Coastal Drive will give you a fantastic overview of these wonderful people. 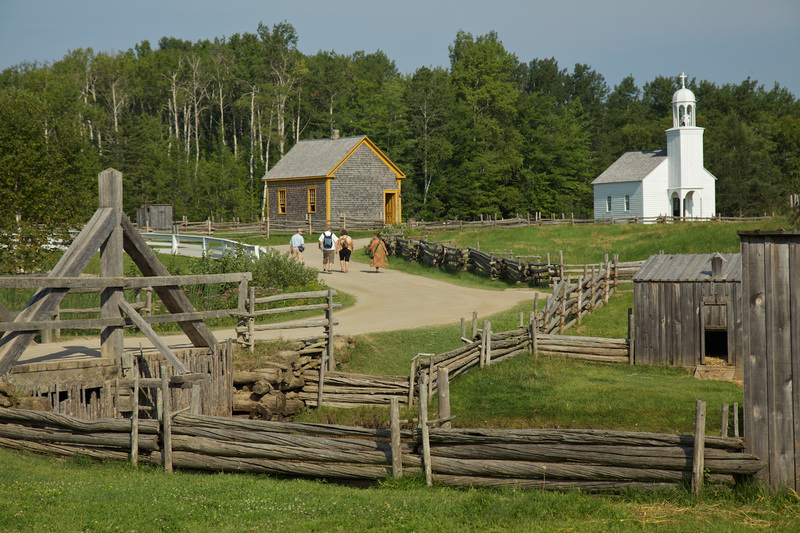 The carefully reconstructed Village Historique Acadien in Bertrand will throw you back in time, to the arrival of the Acadiens in Canada through to 1949. 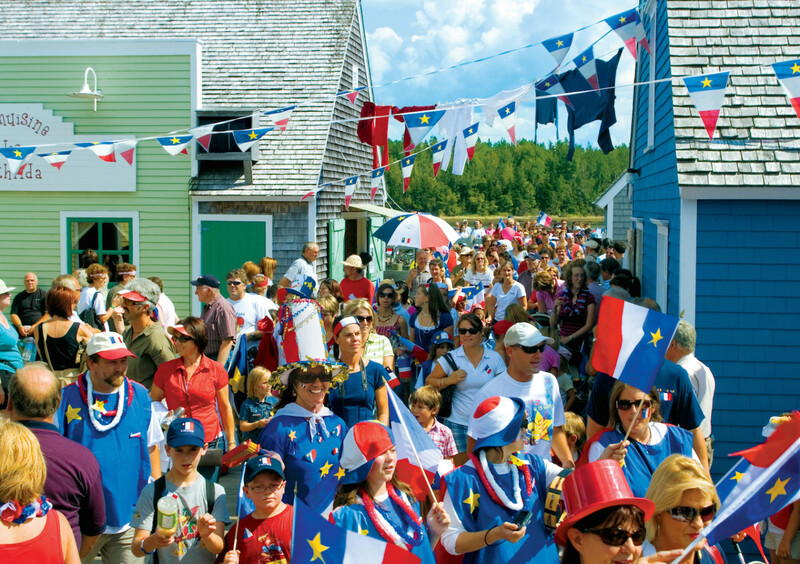 And during each August, about 100,000 visitors descend on the city of Caraquet for two weeks to join in a tremendous celebration of Acadian culture – the Festival acadien de Caraquet. About 400 musical artists perform alongside other cultural events, including art exhibitions, poetry readings and fireworks. The highlight is the Tintamarre, held on the final night, which is a street march with the goal of making as much noise as you can with whatever instruments come to hand. We guarantee this is the loudest parade you’ll ever attend! 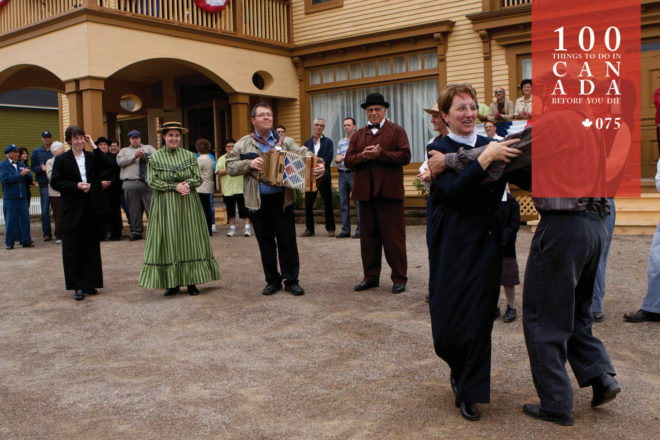 Take an Acadian drive (tourismnewbrunswick.ca) from late July to mid-August, as the Festival acadien de Caraquet is held from August 1-15. Find out more here. New Brunswick is on Canada’s lower south-eastern tip and can be reached by plane (a half-hour flight from Halifax, Nova Scotia), rail from Montréal, bus/coach, car or ferry.